Selamat Datang! You will find the most visited online shopping ecommerce sites in Indonesia and their monthly visits in millions. Also read: Southeast Asia in a nutshell. Part 2 – Indonesia: Beauty in the Ugly! 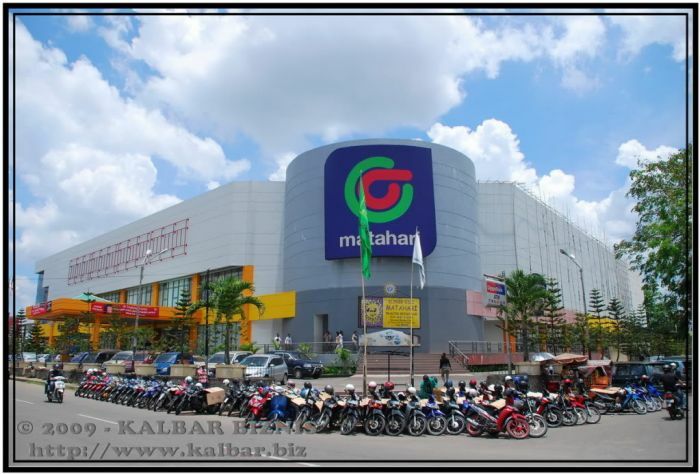 MatahariMall started to setting up a professional online team early 2015 by inviting Hadi Wenas, an ex Zalora/McKinsey to manage it online shopping channel. 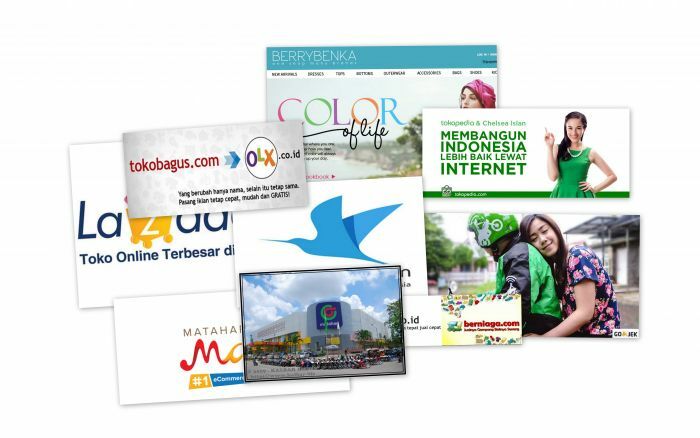 Before that the retail chain website was out of top 100 sites in Indonesia. Read more about my interview with Hadi Wenas: “How to go big and scale fast in Indonesia ecommerce market“. Shopee belongs to one of the first unicorns of Southeast Asia – SEA firm, formerly Garena. Together with Shopee Taiwan, these are the two largest markets for SEA. Blibli is one of the pioneer in the ecommerce space in Indonesia. Backed up by GDP Ventures of Djarum, one of the largest conglomerates in Indonesia, which accumulated it’s asset at the beginning via tobacco. Then expanding to banking and other industries. Blibli recent move is acquiring Tiket, also the pioneer in the online travel/train/concert ticket booking, to expand to the tourism industry. Blibli Android app is rated 4.1 by more than 110.000 reviews. A classified site from out of top 10, now OLX get a top 5 spot after merging with Berniaga, a subsidy of Singapore PressHoldings. Samsung this year makes a surprise move when it shows up in the top sites in Indonesia, and also in top 12 ecommerce sites in Thailand. Used to be No.1 two years ago , Kaskus was the largest online community in Indonesia, and still No.1 now in term of community. 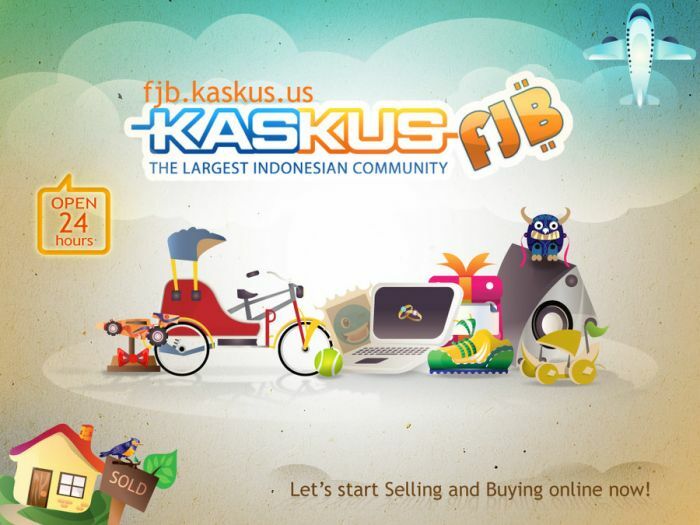 Kaskus is also a brother of No.7 Blibli. Bukalapak is arguably the best growth-hacker in Indonesia ecommerce space. Just started in 2011 but now the startup has jumped in the top 5 in the highly competitive Indonesia ecommerce world. The startup is is backed by KMK, a subsidiary of Indonesian media conglomerate Emtek. It’s Android app has an impressive amount of reviews 450k+ for 4.4 in total. Bukalapak recently welcome to it’s new COO Willix Halim, formerly VP of Growth-Hack of Freelancer.com based out of Australia. Besides the pressure from other top players, Bukalapak and most of top ecommerce sites might have to face with the issue of lacking of data scientists to grow sustainably in the big data world, because of growing too fast. Tokopedia used to be No 4th in 2015, but after having more than $1 billion from Alibaba, previously $100M from SoftBank, Sequoia then the marketplace has been growing rapidly, setting up payment and delivery partnership with offline retail chains. One interesting fact that Alibaba is also the investor of both No.1 Lazada and Tokopedia. But Alibaba owns more than 80% of Lazada and only a minor part in Tokopedia. How can they deal with the mutual interest and confidential data? It’s Android app has 549k reviews with a result 4.2. I’d bet Tokopedia will be the No.1 soon with it’s capability and the signal from it’s visit’s quality. Lazada Indonesia next move might be the launch of LiveUp loyalty program, and opening up a brick-and-mortal store. Lazada first launched “LiveUp” in Singapore earlier this year. The program is answer to Amazon Prime. It provides rebates on purchases from Lazada and newly aqquired Redmart, free and faster Lazada delivery, six months off a Netflix subscription , and discounts on Uber. Are you entering the super fast growing Indonesia ecommerce market? Contact me here and let’s see how can I help! Selamat Datang! Last year I wrote a post about Top 25 most trafficked ecommerce websites in Indonesia. The post quickly went viral and became one of the most viewed posts with most of traffics from Facebook first and later from Google. I’m also coming to Indonesia soon so wanna have a refresh view about the Indonesia eCommerce market . So now I’m writing a new updated one. This year review also includes my quick review on how did each site change, increase/decrease it’s ranking, compare with it’s competitors and there might be few reasons if I know from the insiders’ sources. Freel free to update me in the comment if you have some more points to share. The result is based on Alexa, for sure it’s not totally correct but at least we can trust it 80-90%, especially when we’re comparing sites in the same country. For a quick overview, the top 7 sites are mostly dominated by global sites: Google, Facebook, Youtube, Blogspot… The only local site makes it ahead of Kaskus is Detik, a news portal. After reading the post you will definitely have an overview about the top ecommerce websites in Indonesia market. They call themself: “Kaskus is a home of The Largest Indonesian Online Communities. People come here to share inform…More ation or interest, to buy and to sell. Unite Indonesian through a social platform”. Last year Kaskus has a big change with changing CEO from a youngest one Ken Dean to one of the highest profile CEOs Sukan Makmuri, formerly VP of Internet Banking Technology of Bank of America. Kaskus on the way of shifting from an online community to an ecommerce platform since 2009 with marketplace, KasPay… From some of the “newest updates” one year ago Kaskus already has around 25M unique visitors every month. Though growing strongly but actually Kaskus is going down one rank from 7 last year to 8 now. Kaskus also has a 318 rank on a global scope. The marketplace marks an impressive move from 43 last year to 13 at the present, even surpassed the most talked guy Tokopedia at pos 18. From last year numbers, Bukalapak oversaw more than IDR 500 million (US$43,000) in transactions in its online shopping marketplace on a daily basis. Lazada Indonesia has jumped 15 position from 27 to 12. It’s also the best startup training school in Indonesia which provides several hot startups including MatahariMall, VelaAsia, … So we can see new Lazada Indonesia CEO every year as long as the Indonesian market is still hot. Tokopedia using the famous Indonesian American actress Chelsea to promote it site. After bagged $100M last year Tokopedia improves it rank from 28 to 18. Not bad, but surely we’re watching to see what is the next move of Tokopedia, definitely Tokopedia’s William doesn’t want to lag behind anyone in Indonesia in terms of either traffics or revenue. Last year the two arch-rival classifed websites Olx was at 15 and Berniaga at 23. Now they’re already merged together and maybe the bigger and fatter body moves slower so now Olx gets the 19 spot. Klikbca is the most popular banking payment gateway in Indonesia. It belongs to one of the largest banks BCA. Last year KlikBCA was at 13 position, this year it is probably running as good as last year but the other players are direct B2C and C2C players so easier to get more traffics. This is a marketplace joint venture between Indonesian telco XL Axiata (70M+ subscribers) and SK Planet, owner of one of the largest marketplace in Korea. Elevenia derives from ‘eleven’ and ‘dunia’ (dunia means ‘world’ in Bahasa Indonesia). It follows the same business model as 11street, the largest marketplace in Korea. Last year Elevenia was at 70th. AliExpress is one of the fastest movers from 136 pos to 52 jumped 84 positions. Last year Amazon was even not in the top 300 Alexa Indonesia. So the more growing market the more benefit Amazon has got. This might also mean the number of credit card users of Indonesia has dramatically increased within one year. After one year the fashion site Zalora from 123 now might be happy with 59 pos. It was from the ranking of 224 in 2014 to 75 at the moment. The ecommerce giant from China is surely the most challenging competitor for any Indonesian B2B players. We’ll see if Alibaba will aqquire any startups here. The 21 years-old company seems getting old and running slower so get a rank 80 after the 62nd post last year. the hotel and flight site also one of the fastest growing startups in Indonesia from the post 155 last year to the top 100 right now. It has been running dramastically after got funded from Rocket Founder Fund. Traveloka also uses lots of offline & TV ads to increase it brand awareness. The more important thing is Traveloka now grow stronger and bigger than Tiket, the older competitor, Tiket now has 134 pos while last year it was still ahead of Traveloka. Traveloka is one of the first Indonesian startups quietly go regional, but let’s see what can Traveloka do out of it’s hometown in the most competitive ecommerce category. You might want to read my post Traveloka’s behind the scene pivoting story first published on Tnooz. Paypal was at 74 pos in 2014 so maybe now Indonesia has more online payment options, more credit cards and switching their choices. Indonesia‘s largest property portal. More than 250,000 properties listed from more than 8000 ag…Moreents all over Indonesia. Rumah123 scored a 111 ranking from out of top 300 last year. 2014 Agoda was at 110 so now it still remains the same while seeing Traveloka is cutting into it’s share. PT. JNI Mitrajaya was established as a distributor and logistic providers company located in Surabaya and Malang which always strives to provide the best services with quality products to its customers. Not sure why a logistic company can make into the top site, maybe it’s clients have to connect to it’s website for tracking services?! Any comment? The online aution giant stepped back from 90th position. It’s a surprising finding. 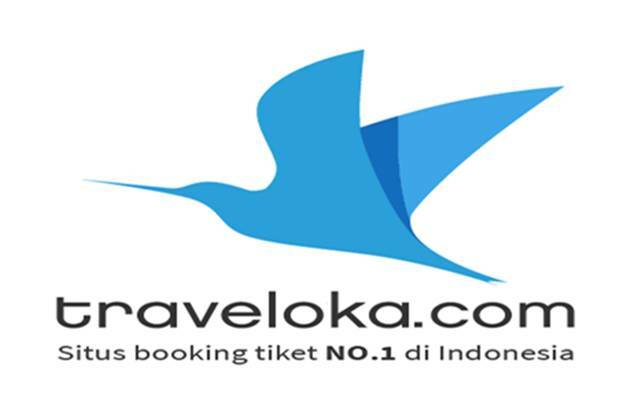 Tiket.com provides online ticketing solution for hotel, flight, train, event and concert.Tiket also improved it’s ranking from 163 to this current pos, but it’s rival Traveloka did much better to 83rd pos. Founded around two years before Traveloka, but Tiket has had a more conservative view on getting funding and another reason that Tiket has more categories to do than Traveloka so this might be it’s disadvantage. Or Tiket growth will be more sustainable than Traveloka’s? Let’s see! A fashion site. Qoo10 from a noname player last year now marked it’s move into the top players. Lists the products, information services, stock price, foreign exchange rate, questions and answers, and contact address. UrbanIndo.com is an online service that helps agents and property buyers to market … selling, and buying property in Indonesia. UrbanIndo founded in May 2011 by several young professionals who are experienced in the world of technology and investment in Silicon Valley, USA. Urbanindo also jumped a long step from 300 to 147.
uge pocket jumped from out of top 500 into 180. I just got connected with the new CEO Hadi Wenas moment ago so will have more info then. The fashion startup founded by Jason Lamuda, co-founder of Disdus, now Groupon Indonesia, also steped into the top players. The B2B site is coming up with the goal to become Alibaba of Indonesia. Asia’s leading low fare airline for business and leisure travelers, with more than 100 routes across Asia. Now with the instant booking features, TripAdvisor is more than ready to compete with other travel booking sites. Garena is famous for it’s mobile games and partly mobile chat Beetalk, but Garena is also joining the ecommerce world with some projects. A more than happy customer of Go-Jek. Oh Go-jek driver might be the hot job now in Indonesia? Note: The missed giant issurely Go-Jek, Go Jek is now even dominent the Indonesian Android Market and Apple Store. It’s starting the food delivery service too. But it’s a mobile app so can’t be listed in Alexa. Please feel free to comment if I missed anything here. Terima kasih!